He remembers, too, working with a lip balm company on display options to increase shoplifters’ effort and to prevent the small product from falling into cracks and getting lost—an early industry effort to address “total retail loss.” In the industry’s most celebrated example involving Gillette, the company mapped its entire process for handling product—from the time it’s made all the way through to the shelf—looking for opportunities to improve process and handling to reduce the risk of loss. As director of the Loss Prevention Research Council (LPRC), which conducts research into crime and theft prevention technologies for the retail industry and includes manufacturers among its membership, Hayes has a unique seat from which to view the working relationship between retail LP and product manufacturers. He’s in the room when the two sides are discussing anti-theft solutions, both separately and when they are brainstorming solutions together. While the issue of theft prevention often divides the two sides, his job is in the middle—helping both. “One stole is one sold” is still the perspective that some manufacturers cling to according to some loss prevention executives we interviewed. And a willingness to work with retail loss prevention isn’t as strong in some sectors of goods as others, they said. Manufacturers in the drug, food, and household goods sectors have tended to be more aggressive in pursuing product protection, according to industry experts. Several LP leaders specifically identified Procter & Gamble (P&G) as a model manufacturer partner, for example. Krista Marantos Monnin is a retail business leader at P&G and oversees the company’s on-shelf availability operation. “We see it as a collaborative role with our retailer partners; ultimately, it has to be a retailer solution because everybody addresses shrink differently on the retailer side,” she said. Source tagging is certainly a primary part of product protection today, said Monnin, but even within that ubiquitous solution, retailers deviate on what frequency of tags they require. As such, she said manufacturers aren’t effectively positioned to forge across-the-board solutions on their own. Certain manufacturers operate under heightened requirements for product protection due to consumer health and safety concerns. For these companies, product diversion is more than a nuisance—supply-chain risks are material to the business. One generic drugmaker­­­, for example, wrote in its annual mandatory 10-K filing with the US Securities and Exchange Commission, “Cargo thefts and/or diversions, and economically or maliciously motivated product tampering on store shelves may occur, causing unexpected shortages, which may have a material impact on our operations.” Because of the stakes involved, such companies have led the way in product serialization to increase supply-chain visibility. Embedding security features into products as a selling point is also a possible trend as use cases for identification technology seeps into more product category niches. For example, manufacturers build technology by GearSecure, a mash-up of RFID and GPS, into musical instruments, which then allows end-users like touring bands to keep tabs on their gear. Collaboration between wireless companies and makers of cell phones has led to increasing adoption of kill-switch technology. There is an anti-counterfeiting sewing thread. There are apparel makers that mesh RFID, NFC, and QR codes together for tags that capitalize on the benefits of each. And a few manufacturers are using anti-theft solutions to gain competitive advantage in high-shrink product categories, according to Hayes. By building in security measures, these companies can “go to a retailer and say, ‘Hey, I understand that this product category is a challenge for you, but what if I take these steps that will reduce the amount of loss? '” That can result in favorable treatment because they are helping the retailer solve a problem, said Hayes. One prominent example is RCA, a maker of tablet computers. By tweaking firmware during manufacture, the company’s devices require a code for activation available only at point-of-sale. Without a legitimate purchase, they’re bricks. By denying thieves the ability to use the device if they steal it, and thus the motive to steal, the company was able to sell the prospect of fewer losses to forge a more favorable deal with a big-box retailer. Adam Alford, senior director for loss prevention at GameStop, said his team has met with a few vendors in the last few months on the benefit-denial concept, with the goal of being able to put higher-value live products on the floor without increasing loss. Many merchants think such availability is vital to driving brick-and-mortar sales today as customers rely on stores as a place to touch and test products, rather than simply make purchases. Alford particularly likes the strategy’s potential in the mobile phone and tablet space. According to some LP practitioners, it’s somewhat rare for manufacturers to take individual initiative on theft prevention. The booming connected-home market is an example—smart thermostats, smart plugs, and the like. While these vendors understand their products are in high demand and can be high theft—and will discuss the issue, ask for recommendations, and gladly take measures to prevent their product from being secured in a physical lock-up—it typically stops there. Vendors are not necessarily at the point where they go to retailers to say, “We know theft is an issue, so we’ve partnered with this solution or built in this technology to prevent theft, and how will this work for you?” That conversation remains rare. The core obstacle is the same as it has always been, said several industry leaders. In some cases, manufacturers may not perceive that they have skin in the game and fail to see an impact on them if a retailer experiences high losses. Small brands may more easily recognize high losses as detrimental, recognizing the possibility that a store may choose to buy fewer of their products, move their products to online sales only, or discontinue altogether a product with high shrink. But large vendors, ones that hold some leverage on retailers, can remain hesitant to implement solutions that are going to raise their costs. “It’s not adversarial; they’re willing to hear you out,” but they often fail to see enough value to drive them to take action, said one LP director. A requirement that high-shrink items must be source-tagged is fairly routine and well accepted by manufacturers, but working on new, innovative solutions can be more challenging, noted the LP executive. While their particular bottom-line interests naturally divide manufacturers and retailers on the issue of retail theft, Hayes sees goodwill—and recognition of the legitimacy of each other’s viewpoint—as a viable building block to successful manufacturer to retailer collaboration. Rather than a unique challenge, Hayes characterizes the divergence between the two camps as similar to many business relationships. “It’s just complicated,” said Hayes. “Everyone has positive intentions, but everyone also wants to make their numbers.” Cultivating those good intentions are thus an important part of creating effective LP partnerships with product manufacturers. P&G’s Monnin sees data as a prerequisite to forging problem-specific solutions and is in the early stages of working on new protection strategies for the company’s Tide product. But to do it effectively, retailers need to partake. “We need our retailer partners to share data so that we can accurately assess the problem,” she said. The quality of the data collected and shared could also be improved to forge more meaningful cooperation, suggested Nicole DeHoratius, a professor at University of Chicago’s Booth School of Business and an expert in retail operations management. “Retailers shouldn’t just share their shrink lists. They need to conduct additional analyses and examine the underlying characteristics driving the shrink problem,” she advised. “LP needs to be far more analytical and examine what’s common about shrink across products, locations, retailers, and so on. “For example, do we observe commonalities across vendors, distribution channels, stores, and products with the same packaging? What are the underlying attributes of the shrink that might give an indication of the root cause?” This is particularly true given the pace of churn among SKUs and vendors, she added. “So on the retailer side, the problem isn’t generally a particular unwillingness to share but rather the existing skill set of the traditional LP professional,” she said, noting that to successfully move the industry forward, LP needs to adopt a more robust analytical skill set. Data sharing is key, and so is robust evidence of the effectiveness of solutions, according to Hayes. 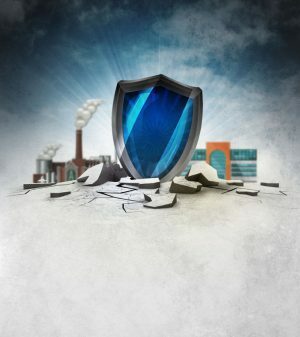 Manufacturers may be willing to bear the cost of a theft prevention solution, but they want evidence it works, and year-over-year data doesn’t necessarily provide it. “Hundreds of things can happen during the year that can alter the results,” said Hayes. As such, controlled experiments play an important role in providing both sides with confidence in a solution’s worthiness and to forecast results, he advised. A successful product protection partnership with a manufacturer can occasionally hinge on luck—right time, right ask. But as for elements that LP can influence, making sure merchant teams aren’t blind to inventory shrink and gaining their support is critical. Lowe’s has dedicated staff members whose role is to interface with buyers from an LP lens, and their responsibilities include attending high-shrink merchandise division merchant meetings. In this way, the LP organization has insight into emerging developments. The LP-merchant liaisons also participate when merchants conduct product line reviews, playing an advisory role as the subject-matter experts around shrinkage and returns for the product category. The issue is also broader than LP and buyers. That relationship is critical, but it is just one aspect of a larger ecosystem on the retailer’s side that requires proper alignment. LP, merchants, store operations, sales incentives—they all need to work together for retailers to work effectively with vendors, according to DeHoratius. The LPRC boasts 55 major retail chain members, 65 solutions companies, and a half-dozen manufacturer members, including P&G. “Being involved in LPRC is valuable for building relationships, and in identifying what works, and for research that I can take back to my company and make people aware of,” said Monnin. LP directors said they see similar benefits on their end-learning about solutions that their peers are coordinating on with manufacturers and passing those ideas onto to their merchant teams. Read the suggestions and recommendations for future product protection solutions in the full article, “Security at the Source,” which was originally published in 2018. This excerpt was updated February 26, 2019.